I recently made a purchase that I've dreamed about getting for what seems like forever now. 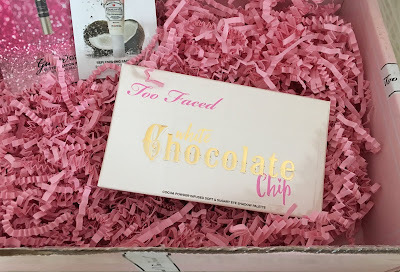 I finally got the Too Faced White Chocolate Chip palette. When I got this in the mail I was so excited to open it. 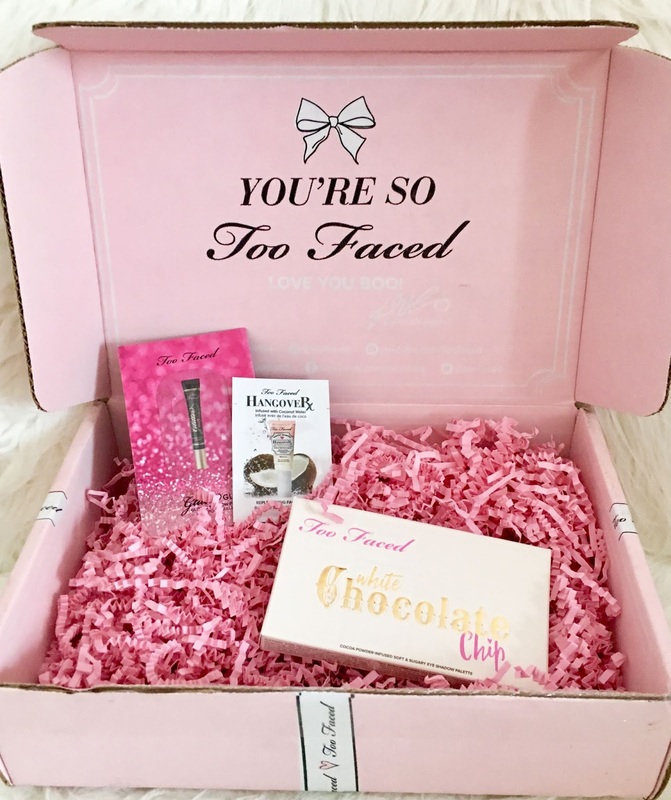 I pulled out the adorable pink package with a bow that said Too Faced. This has to be by far the prettiest package I've ever seen. 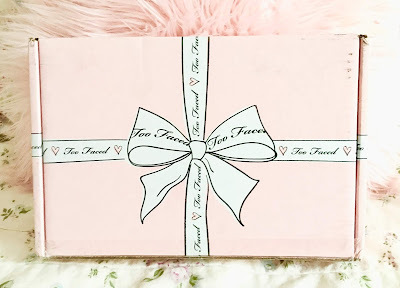 Too Faced has the best packaging on their products and I love how every detail is thought of such as the box you receive your products in. When I first opened the box I saw the pink little packaging confetti and underneath it was the palette and samples I ordered. The box the White Chocolate Chip palette comes in is just as adorable as the actual palette. When I opened it I immediately smelt the scent of white chocolate. 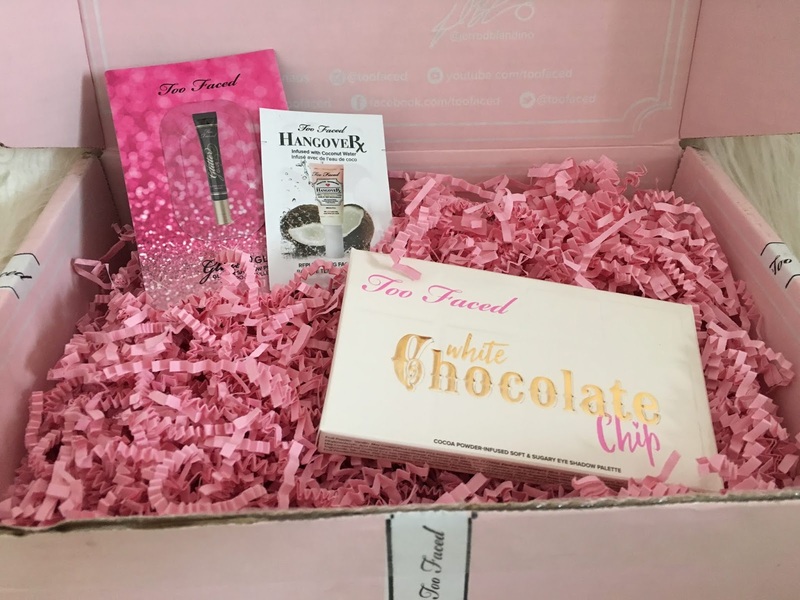 I love how Too Faced always make their products smell like heaven. They smell almost good enough to eat! I absolutely love the packaging of this palette! 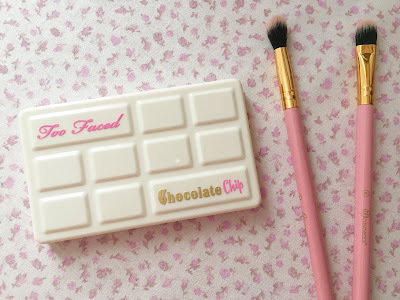 I think it's the prettiest and most adorable palette I've ever seen from Too Faced. I love how it's white chocolate, inspired by the light, pastel shades. 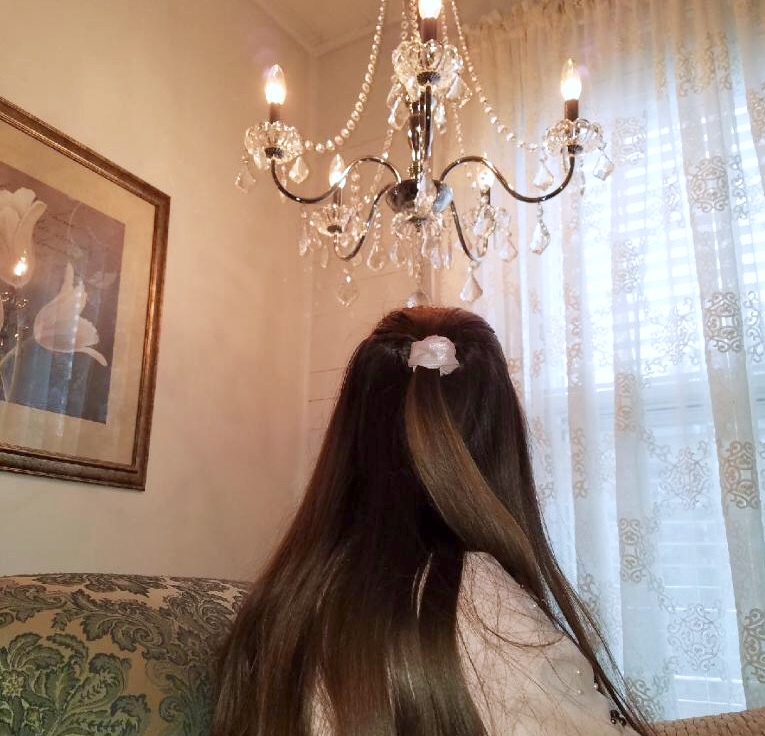 It's such a feminine and whimsical palette. This is literally me in an eyeshadow palette! 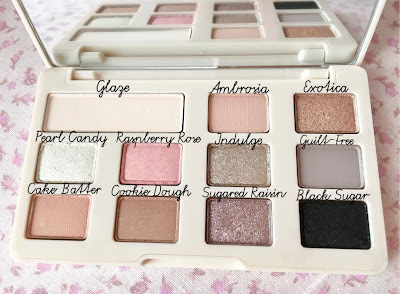 The white Chocolate Chip palette is a bite-sized eyeshadow palette of 11 cocoa powder-infused, soft and sugary shades that's perfectly portable. It is $26 for this palette. 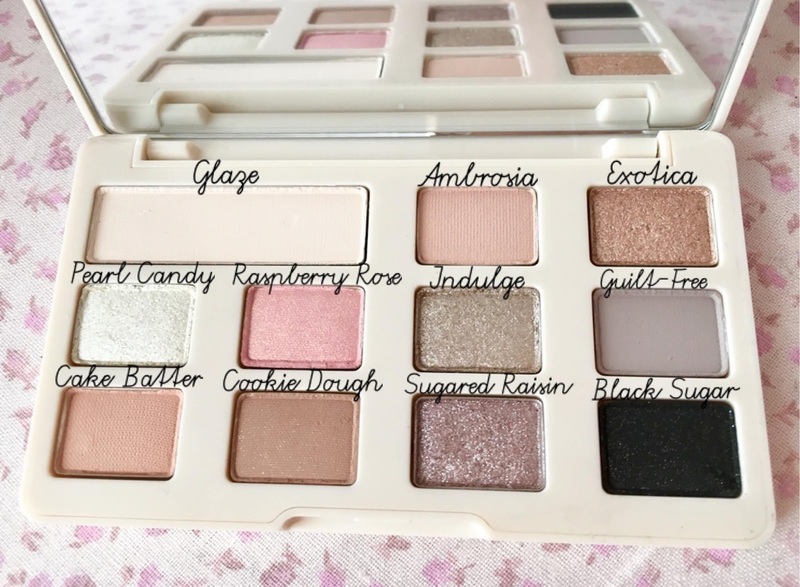 The shades in this palette are what really made me fall in love with it. I love light colors, it's practically all I wear on my eyes. I see myself using every single shade in this palette including the black. I love how it includes one darker shade for people who want more of a dramatic night look. It consists of 4 matte shades and 7 shimmer/foils. Even though this is a small palette I still can fit my brush in the pan perfectly and the mirror is amazing to use. They're so far very long-lasting and pigmented on my eyelids. The shimmers/foils are super pigmented and sparkly. The mattes are also very soft and pigmented to apply in the crease for a transition color or wherever you please. This palette is suitable for all skin-tones in my opinion. It may show up a little better on medium to deep skin tones since the shades are very light. That doesn't mean they aren't pigmented on lighter skin tones like myself. Lighter skin tones can certainly use this palette. The lighter shades just blend in a little more to your skin tone but they still are noticeable. Too Faced also has a palette called the Chocolate Chip palette. 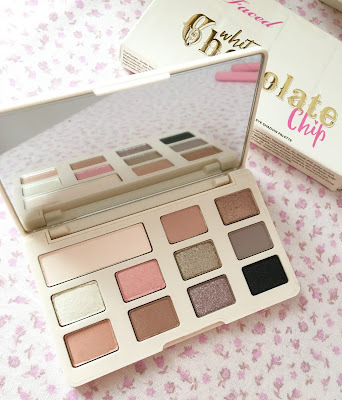 It is a bite-sized eyeshadow palette of the Chocolate Bar shades transformed in all matte finishes. If you're more a fan of matte or darker shades you may prefer this to the White Chocolate Chip palette. This would be great for all skin tones to use. Those are my thoughts on the Too Faced White Chocolate Chip palette. I totally recommend it! 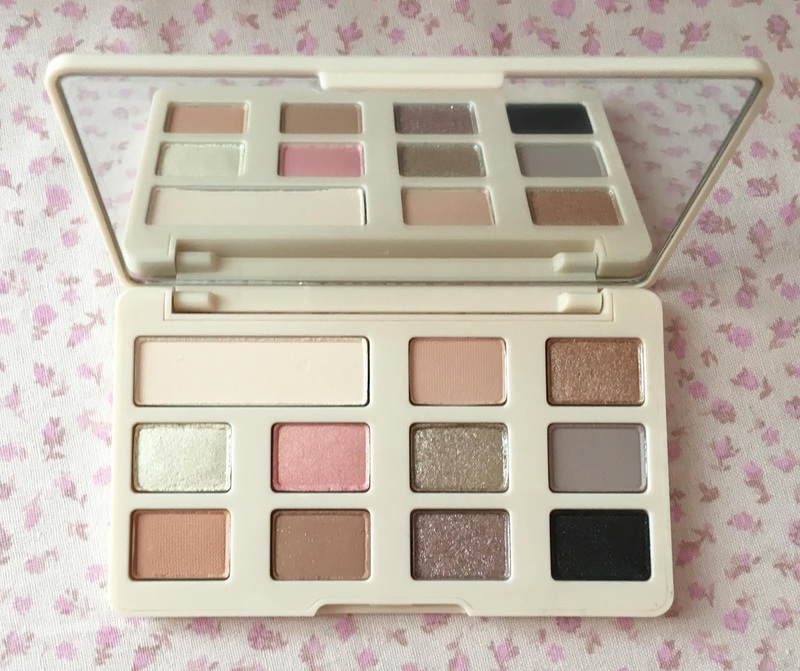 It's the most beautiful palette I've ever used! I just adore it! Have you tried this palette? Do you prefer lighter or darker shades of eyeshadow? 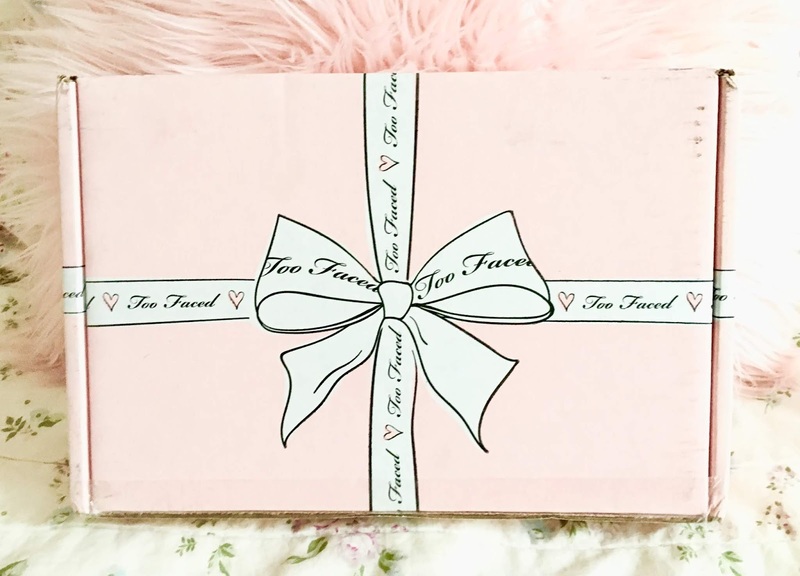 What is your favorite Too Faced product?